1) What is the goal of your event? Having a grand scope of your event that you want to communicate is crucial for a spectacular set-up from your expert lighting and production team. Whether it’s for a serious environment or your goal is to establish a festive atmosphere, there’s a technique that fits uniquely for your overall goal. 2) What are your priorities? Your basic needs may be a screen, projector, a few speakers, and a microphone, but adding small details will go a long way to help your audience stay engaged. Lighting, drape, LED video walls, and much more can all help make your event unique and fun. It’s up to you to decide how important everything on your list is, especially when budget is on the line. We’re here to keep you on track and to make your event unforgettable all within your budget! 3) How big is your event? The venue size is extremely important in deciding what lighting and elements makes sense for your event. In addition, the amount of guests will also influence the overall set-up. 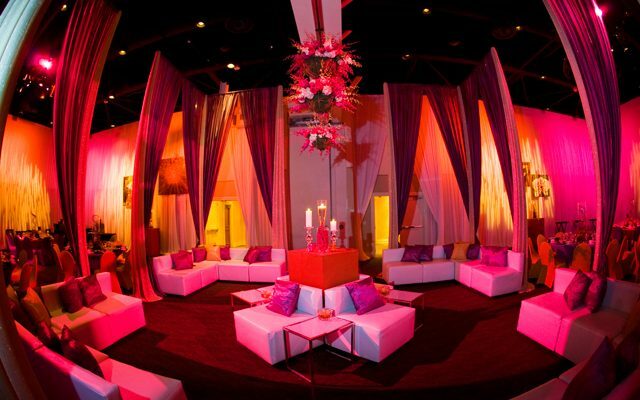 Fortunately, we are able to plan for any size event with our state-of-the-art design center. With this tool, you’re able to see a 3D view of your venue as we design and plan the full production of the event. The Bay Stage Live team is committed to giving you an unforgettable event atmosphere. Get started with your event production today!